Judging by the looks of the selections at your local grocery store, it might seem like the vegans are taking over with their nut cheeses and cashew butters. Yet animal products lurk in unexpected places, making it difficult to always know what in your shopping cart is actually vegan. There’s white sugar, ground down by bone char, or a marshmallow made stretchy with gelatin. Maybe that soy cheese contains casein, a protein found in dairy milk. Isinglass—a.k.a. fish bladder—was once used to filter Guinness. The wine world remains one of the trickier terrains for vegans and vegetarians to navigate. While the natural stuff is always vegan, the Sauvignon Blanc, rosé, and Malbecs you’re more likely to find at your corner liquor store don’t always come with that guarantee. 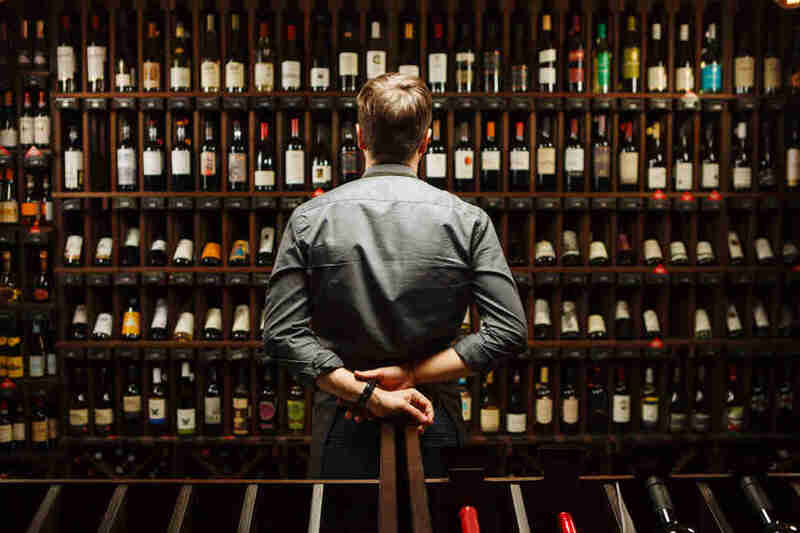 Wine has no laws in the U.S. around labeling its ingredients, and animal byproducts come into the process more than one might care to consider when shopping for a bottle. Gelatin, egg white, and casein (a milk protein) are all used as fining agents at the end of the winemaking chain to reduce tannins, which can make a wine astringent. Isinglass, the same kinds of fish bladders that used to make Guinness a no-go for vegans, is used in white wines to remove particulate matter and make them extremely clear. 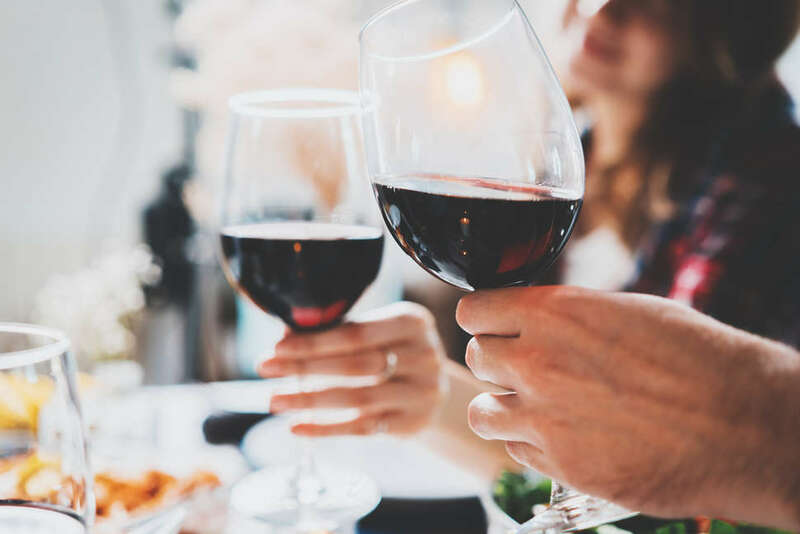 While this is all cause for vegan concern, “it’s very unlikely that these proteins would actually remain in the wine to any significant degree after you’ve added them,” says Jim Harbertson, associate professor of oenology at Washington State University. "The wine world remains one of the trickier terrains for vegans and vegetarians to navigate." Until labeling laws require ingredient lists for wine, though, it won’t become any easier to tell with a casual glance whether animals were harmed for a bottle. “Labeling laws are very different when applied to alcohol than to other foodstuffs,” Harbertson says. The Food Safety Modernization Act, passed in 2011, has heated up discussion of potential requirements, but as of 2018, there are no clear answers on whether that will actually be implemented. Some wineries see the value in ingredient-labeling independent of any governmental regulation, such as Bonny Doon Vineyard, which has been operating since 1983 in Santa Cruz, California. Their wines are vegan, “not out of any particular ideological bent, apart from the fact that we prefer to make wines that are minimally manipulated,” owner Randall Grahm says. “I felt that since I was committing to following what might be called an enologically and viticulturally virtuous path, I might as well advertise that fact on the label,” he says, regarding the inspiration for transparent labeling, which they began in 2007. Not only does this make it clear whether a wine is vegan, but it also doesn’t allow them to hide the use of added colors or sugars. There are more ideologically driven vegan winemakers as well, like Sheri Hood, who’s behind the Willamette Valley’s The Pressing Plant. Her own ethics as a vegetarian and personal winemaking practice have led to a range of unfined wines. "They list 3,606 wine varieties as 'vegan friendly.'" If a wine does need fining, however, and a maker wants to keep it vegan, active bentonite clay and pea protein are two of the options available on the market. According to Sunny Gundara, the in-house sommelier of the Vegan Wines club, animal options are increasingly more expensive. Vegan fining might yet become the go-to process in traditional winemaking. He recommends reaching for the Orange Metamorphika by Costador from Spain, made with Sumoll Blanc and other varieties of grape. “The wines of Costador are organic wines from old mountain vineyards,” he says. “Metamorphika is produced in amphorae and has notes of apricot and stone fruits.” For a sparkling, the lemony, mineral pet-nat by Deux Punx from California is a go-to, and if a red with blackberry, herbs, and acidity is what you’re after, there’s Vin Des Amis by Mas Coutelou from France. Between the growth of natural wine and the availability of vegan fining agents, the day might soon come when vegans will no longer have to worry about whether what’s in their glass is completely cruelty-free. But for now, it’s still about doing the research -- or deciding that even if your eating is plant-based, there’s no reason your drinking has to be too. Alicia Kennedy is a food writer and host of the podcast Meatless. Find her work at alicia-kennedy.com.